Toby the Berlandier's tortoise, more than a year after the dog attack. In the spring of 2015 my friend John Greene from the California Turtle and Tortoise Club called to ask me if I could care for a Berlandier’s (Texas) tortoise that had been maimed by a dog and abandoned by its former keepers at a veterinarian clinic in Southern California. John had rescued the tortoise from an impending euthanasia that was scheduled by the vet, who thought the tortoise was too badly injured to survive. Fortunately, John knew that turtles and tortoises often survive traumatic events, and thought that this one had a chance. When he asked me if I was interested in nursing this tortoise back to health, I jumped at the opportunity, having a particular interest in the North American Gopherus tortoises. When John arrived at my house with the tortoise, I was shocked to see its condition. The attack left the tortoise with a punctured carapace, a badly cracked plastron, crushed forelimbs, and exposed muscle tissue that had been pulled out of its forelimbs. The anterior lobe of the plastron was nearly chewed off, including the gular horn. I had my doubts that the tortoise could survive, but made an immediate appointment with my tortoise veterinarian, Dr. Tom Greek. 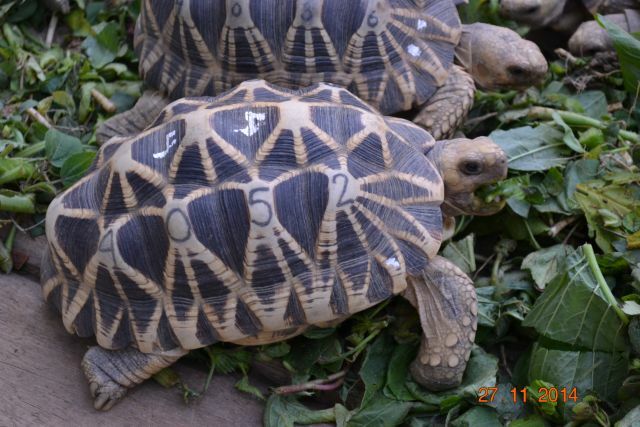 Headstarted Burmese star tortoises showing markings etched into their shells prior to their release. Photo by Turtle Survival Alliance. 2014 was a big news year for this big tortoise, with a rash of reports about escapees roaming the streets of Los Angeles, Dallas, Sarasota, Kenosha, and numerous other cities across the United States. Tortoises are very social animals, and use a variety of behaviors and senses in their communications with each other. Photo by Aaron Logan. Tortoises are personal pets that have gained immense popularity around the world in recent years. And as evidenced by the proliferation of books and websites catering to the subject of captive tortoise maintenance, keepers of tortoises are constantly seeking information about providing their pets with optimal conditions.Many species adapt well to captivity, but pet tortoises are very much wild animals. Knowledge about their wild counterparts, therefore, may help tortoise keepers go a long way in satisfying the needs of their pet tortoises. The purpose of this article is to discuss aspects of the biology of wild tortoises – including evolutionary history, life history traits, physiological ecology, and social behaviors and communication – that can help keepers of tortoises provide a better existence for both captive and wild tortoises. In my fourth post, I discuss social behaviors and communication in tortoises. 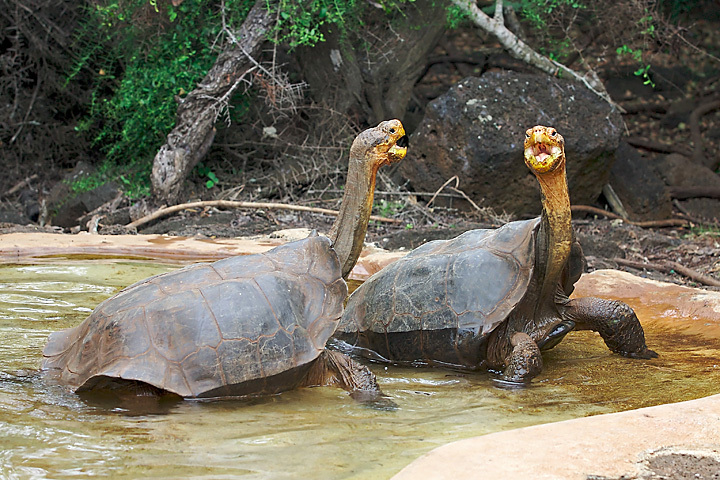 Forest tortoises, like this yellow-footed tortoise, are physiologically adapted to moist environments where water is nearly constantly available. Photo by Geoff Gallice. 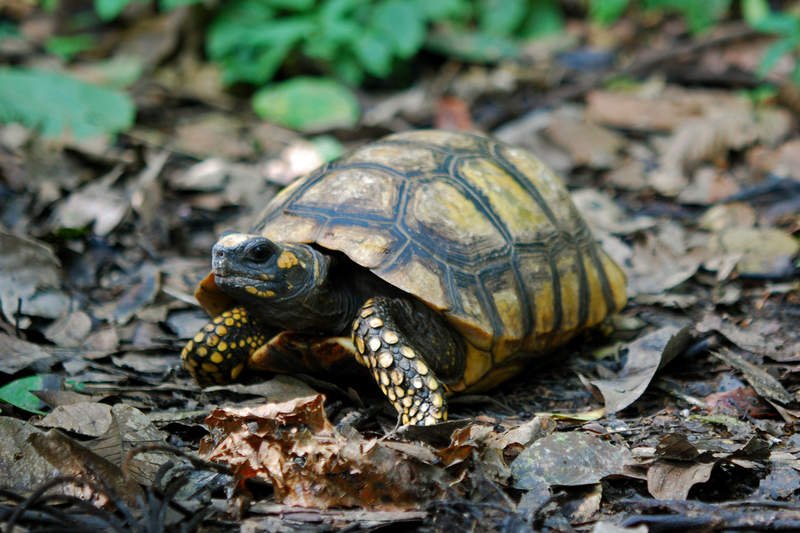 Tortoises are personal pets that have gained immense popularity around the world in recent years. And as evidenced by the proliferation of books and websites catering to the subject of captive tortoise maintenance, keepers of tortoises are constantly seeking information about providing their pets with optimal conditions. Many species adapt well to captivity, but pet tortoises are very much wild animals. Knowledge about their wild counterparts, therefore, may help tortoise keepers go a long way in satisfying the needs of their pet tortoises. The purpose of this article is to discuss aspects of the biology of wild tortoises – including evolutionary history, life history traits, physiological ecology, and social behaviors and communication – that can help keepers of tortoises provide a better existence for both captive and wild tortoises. In my third post, I discuss physiological ecology of tortoises. Slow growth and exceptional longevity of tortoises are hallmark life history traits in this group of animals. Photo by Peter Wilton. Tortoises are personal pets that have gained immense popularity around the world in recent years. 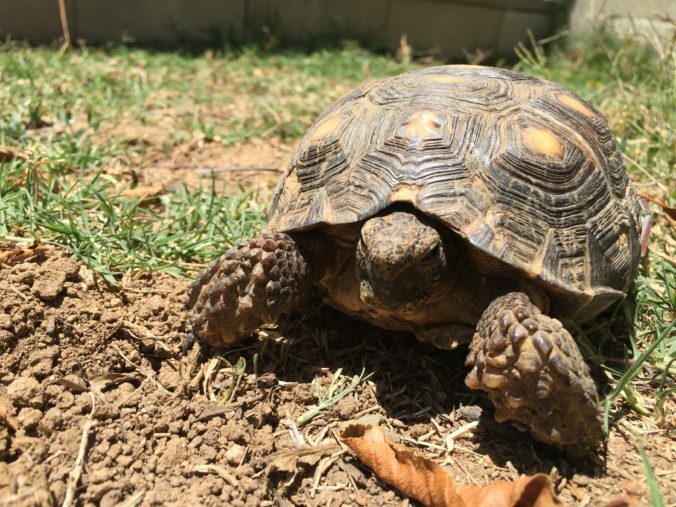 And as evidenced by the proliferation of books and websites catering to the subject of captive tortoise maintenance, keepers of tortoises are constantly seeking information about providing their pets with optimal conditions. Many species adapt well to captivity, but pet tortoises are very much wild animals. Knowledge about their wild counterparts, therefore, may help tortoise keepers go a long way in satisfying the needs of their pet tortoises. The purpose of this article is to discuss aspects of the biology of wild tortoises – including evolutionary history, life history traits, physiological ecology, and social behaviors and communication – that can help keepers of tortoises provide a better existence for both captive and wild tortoises. In my second post, I discuss life history traits of tortoises. 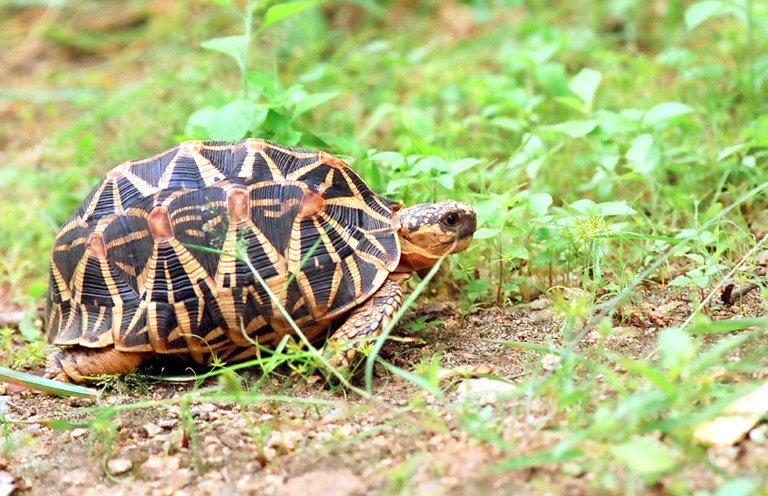 Wild populations of many tortoise species, such as the Indian star tortoise, are under threat of extinction due to exploitation for the pet trade. Photo by N. A. Naseer. Tortoises are personal pets that have gained immense popularity around the world in recent years. And as evidenced by the proliferation of books and websites catering to the subject of captive tortoise maintenance, keepers of tortoises are constantly seeking information about providing their pets with optimal conditions. Many species adapt well to captivity, but pet tortoises are very much wild animals. Knowledge about their wild counterparts, therefore, may help tortoise keepers go a long way in satisfying the needs of their pet tortoises. The purpose of this series of posts is to discuss aspects of the biology of wild tortoises – including evolutionary history, life history traits, physiological ecology, and social behaviors and communication – that can help keepers of tortoises provide a better existence for both captive and wild tortoises. 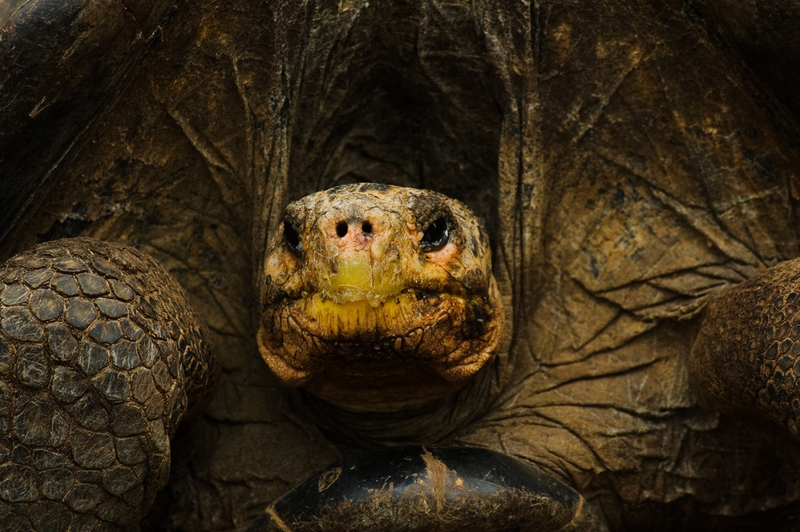 In my first post, I discuss the evolutionary history of tortoises. 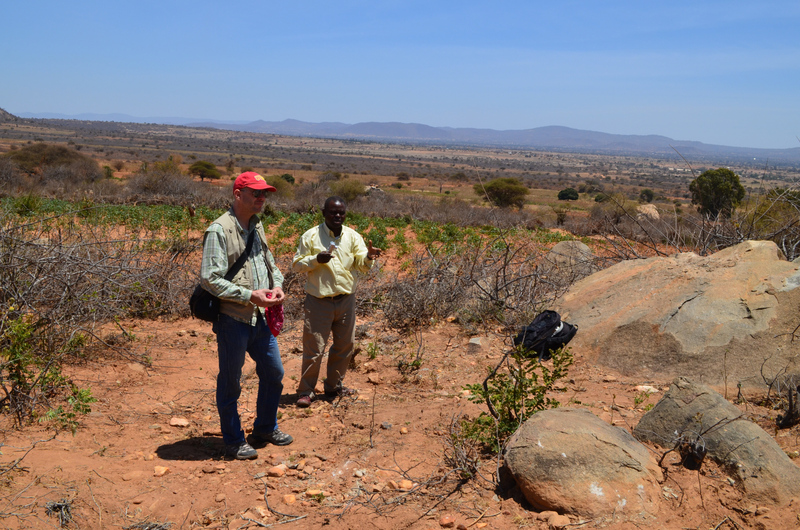 Reginald Mwaya introduces me to the pancake tortoise site at Jenjeluse. The agricultural crops in the background are a recent development. I’ve just returned from my most recent trip to east Africa, where I had the opportunity to collect tissue samples (blood) from two naturally-occurring pancake tortoise (Malocochersus tornieri) populations in central Tanzania.